Lovely Buildable Lot in the heart of Old Englewood. 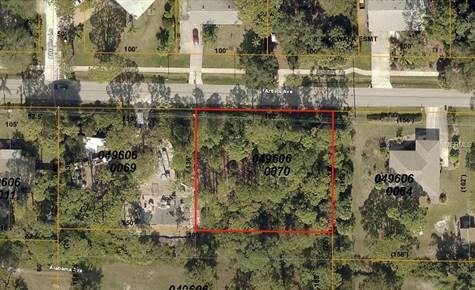 This lot is OVERSIZED and is almost a full half acre ( .4683).Attractive residential neighborhood. Food Zone is X500. To live in NW Englewood, your home is within very short drive to Lemon Bay Park as well as Downtown Dearborn, hub of quaint cafes, Farmers Market, Art Festivals. Very few lots left in this NW Englewood established community!